Lightning-fast Construction Time: The biggest problem area in conventional buildings is the time the project can take for completion. Months drag on, with seemingly little progress, and before you know it, months become years. In sharp contrast, what takes months in conventional construction can actually be completed in weeks with prefabricated steel building technology. Some of the experienced players in the industry are able to efficiently complete 10,000 square feet structures in less than 3 months, which would be unheard of in conventional construction! Cost-efficiency: Lesser construction time automatically translates to reduced cost of the project. 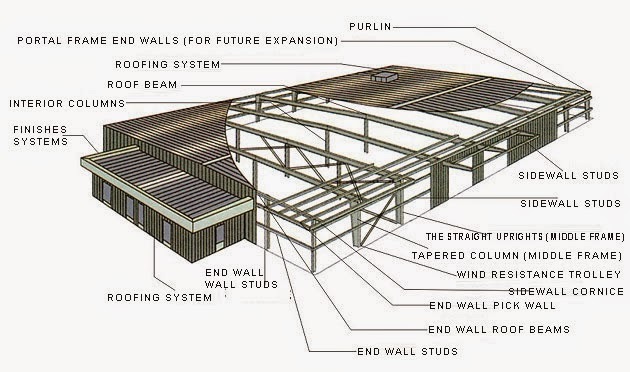 However, apart from this aspect, there is also something else that makes prefabricated steel buildings more cost-efficient than conventional buildings. Because these structures are engineered for easy assembly, a higher degree of automation in the process is enabled. As a result, the skill level needed in the project is also not very high, thus leading to better cost-efficiency-in some cases, up to a whopping 60% reduction from what it would take in conventional building construction. Strength: Prefabricated steel buildings are well-regarded for their durability and robust service life. Steel, considered amongst the toughest building materials available in modern times, has a great deal of resilience. Natural elements such as severe winds, rains, snow, and storms do not affect it much. It is also not susceptible to common problems like seepage, termite infestation, rotting and cracking. Treating it with special coatings helps safeguard it against rust.